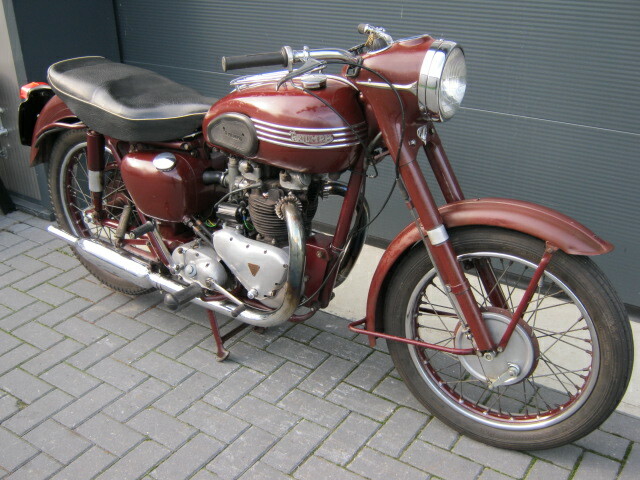 Unrestored Triumph '56 Speedtwin. Runs and rides very well. 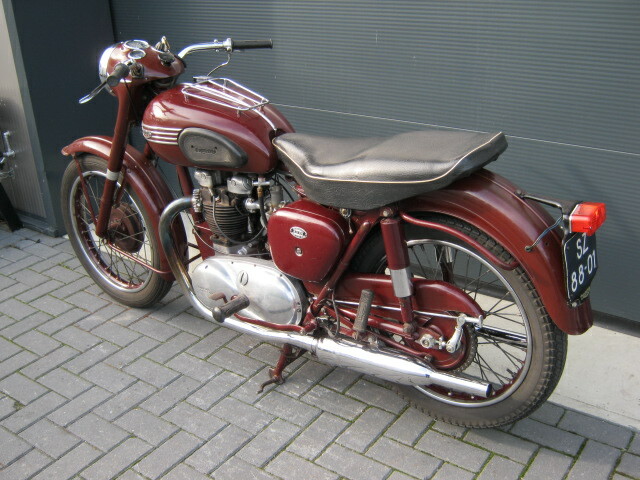 At the moment the bike is fitted with a new 12V dynamo and electronic ignition, but the original parts are with it. Has matching numbers and a Dutch registration.